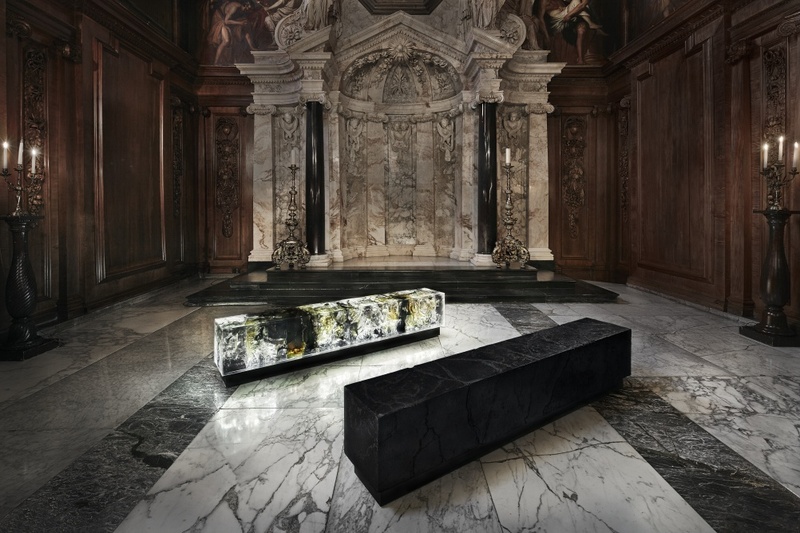 Make Yourself Comfortable at Chatsworth showcases 75 new chairs created by designers and students incorporated into the interiors of the stately home, with the aim of showcasing talent that “pushes the boundaries”. 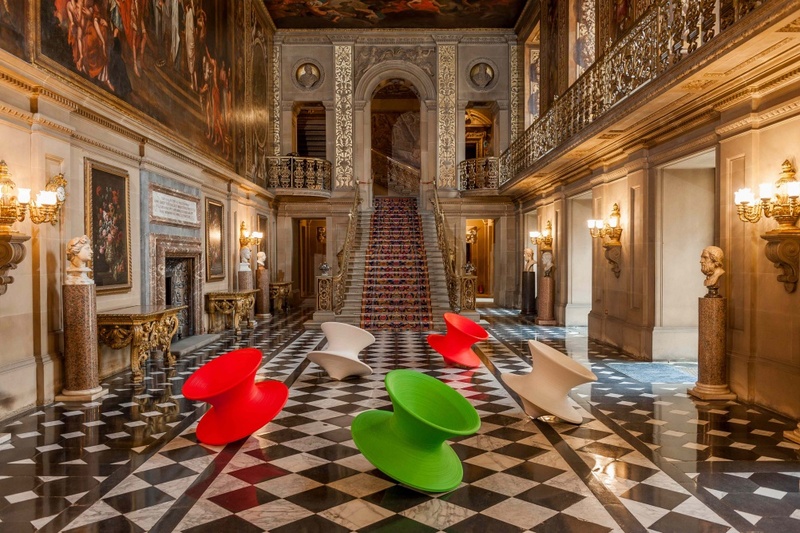 An exhibition of chair designs has opened at Chatsworth House in Derbyshire, which Chatsworth’s exhibitions curator Hannah Obee hopes will help to showcase the work of those who “push the boundaries” of contemporary furniture design. 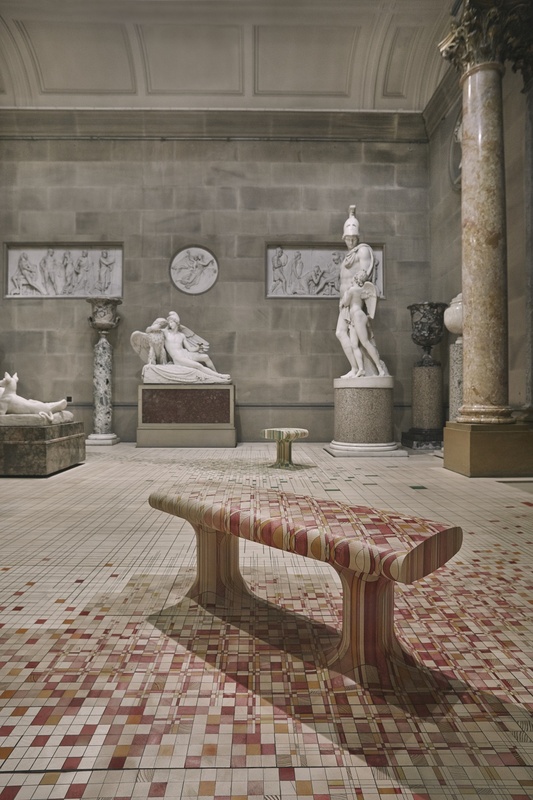 Make Yourself Comfortable at Chatsworth includes the installation of 75 seats incorporated within the interiors of the stately home, 71 of which can be “tried out” by visitors. 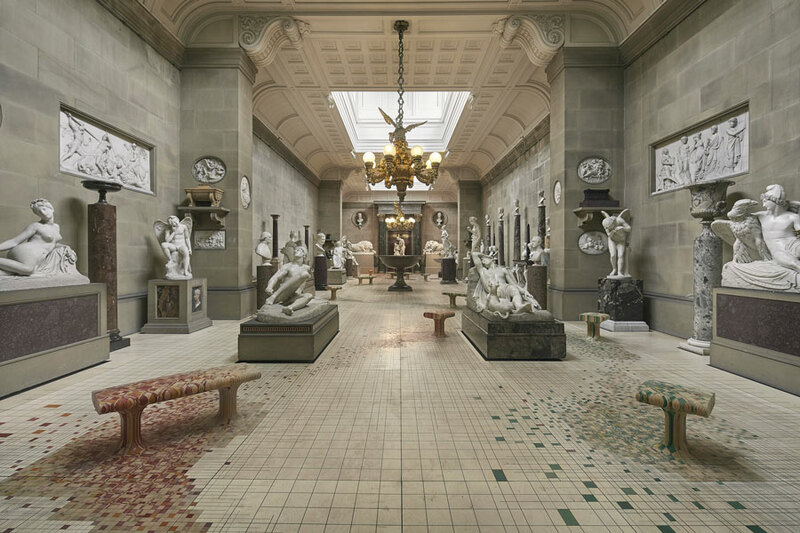 “The title of the exhibition is in reference to physically being comfortable on the seats, but also feeling comfortable at Chatsworth and feeling a part of the exhibition,” Obee says. 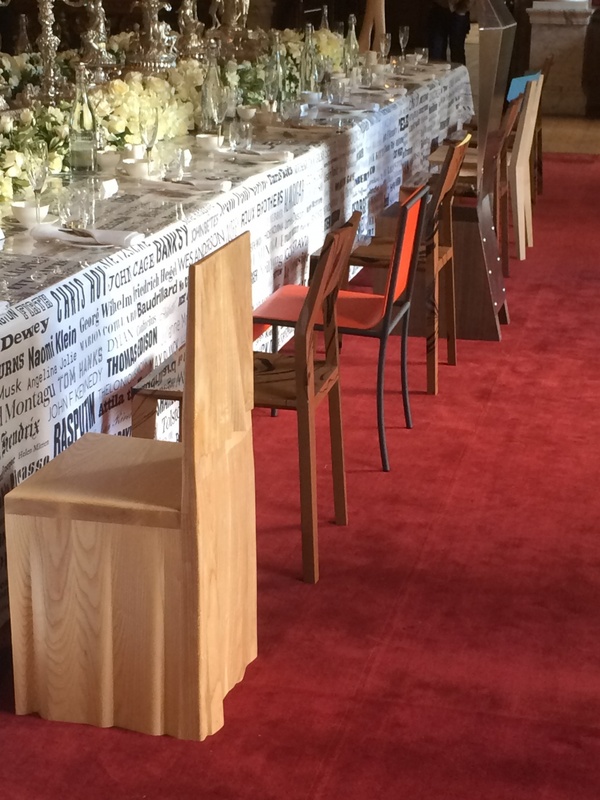 The exhibition includes chairs that surpass the norm of furniture design, Obee says. 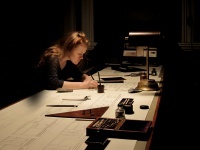 It includes work by international designers such as Thomas Heatherwick, Moritz Waldemeyer and Amanda Levete, and specially commissioned pieces by Raw Edges and Tom Price. Designers such as Raw Edges have aimed to incorporate the existing colour and material schemes of the interiors while refreshing the design and making it contemporary. The consultancy worked with the Whitewall Company to produce Endgrain within the house’s Sculpture Gallery – seats which draw inspiration from the ceramic tile patterns of plinths within the room, but also renew the style by “merging with the space”, says Shay Alkalay, one half of Raw Edges. 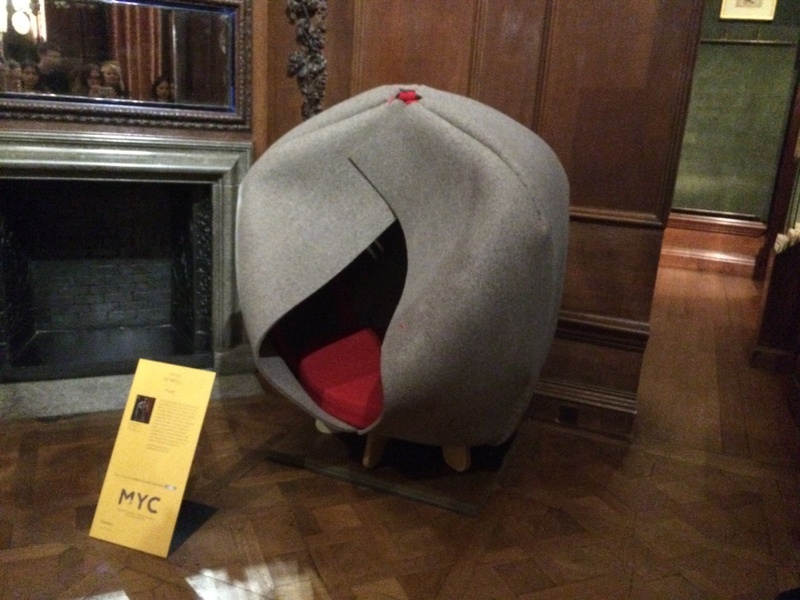 Chatsworth House also partnered with Sheffield Hallam university to include the work of product and furniture design students and alumni, with the aim of enabling young designers to get ahead in their field, Obee says. Make Yourself Comfortable at Chatsworth will run until 23 October 2015 at Chatsworth House, Chatsworth, Bakewell, Derbyshire, DE45 1PP. Tickets are £22 for adults, based on entry price to view the house. 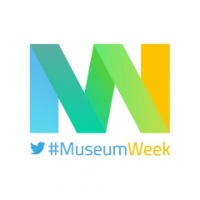 How can museums use design to better connect with their audiences?